Bring a picnic and join us BEFORE the concert as we have reserved an area of Camrose Park for a BYO Big Ten Picnic. We will provide the tables & table cloths. 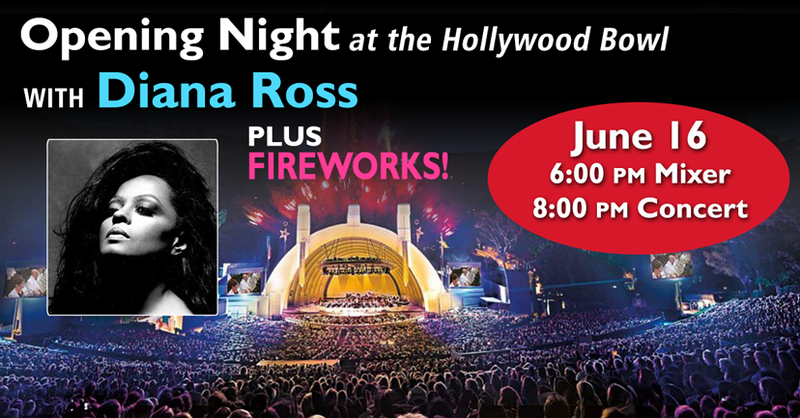 Celebrate the beginning of summer with a sensational evening with legendary icon Diana Ross, one of the greatest superstar entertainers of all time along with the Hollywood Bowl Orchestra—PLUS Fabulous Fireworks! Opening Night always sells out and we have a limited number of tickets this year so get your tickets early so you don’t miss out! Click here to see seating map. Click REGISTER to login and access your account for member prices. Contact Libby DuBay at 310.815.2663 or email at president@bigtenclub.com.